Holograms : Tool or trend? In light of the changing demographics of today’s consumers, marketers and event agencies alike need solutions that cater to the short span of attention and added value on authenticity and personalisation. This poses a few challenges for corporate event planners and brands. In trying to appeal to multiple generations, planners need to remember that all attendees want the same thing; the awe factor, value, and authenticity. “We want to leave better than we came. The biggest differential between generations is attention span.” In addition, there are the following variables have to be considered when judging the success of any event. 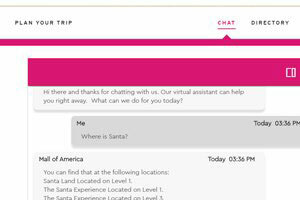 Considering these variables, a solution is needed that not only addresses engagement and personalisation but is also cost effective and provides a wow factor that dazzles attendees. Enter Holographic Telepresence technology. The technology has been invading the media by bringing deceased musicians back to life for one night only performances, wowing science-fiction fans on television and movies and even changing the way we video call friends and family. The hologram buzz expands beyond just entertainment, increasingly becoming a breakthrough marketing solution in many spaces including brand experience. Why fly in a speaker when you can beam him/her in from a remote location? Why depend on salesmen when the company CEO himself can give the brand keynote and product message? Can you imagine the brand impact and marketing success you can achieve when you have a channel of communicating with your customers in a way they will never forget? You DON’T need to imagine it. Its a reality now. “When asked about the next big marketing trend, survey respondents identified consumer personalization (29%), AI (26%), and voice search (21.23%). 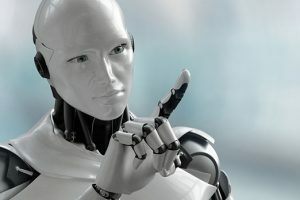 These top three responses, which total 75% of all AI applications, demonstrate that AI is more pervasive and prominent than respondents realize.” (Source: BrightEdge). This shows that the omnipresence of AI has pervaded marketing in a bigger way than expected. 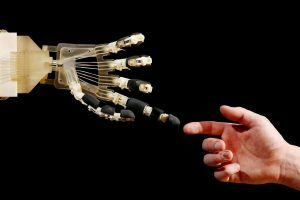 The level of personalization provided by AI is difficult to counter with traditional marketing methods. The marketing tools of today are AI, VR, AR and the sooner companies adapt to it the more they can differentiate. AI coupled with Augmented reality gives rise to holographic telepresence technology which is created from Photorealistic Stereoscopic 3D Imaging It is a holographic image of live people with whom you can interact in real-time, irrespective of where they are. The image looks real from every angle, and to multiple viewers from different angles. 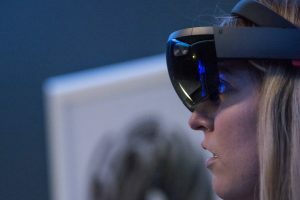 This new technological advancement makes live two-way interactivity possible in the virtual realm to appear to be in reality. The 3D imaging can be in real-time or as a pre-recorded video. Real-time presenters are able to see, hear, and interact with their audiences through motion tracking, gestures or mobile devices. This technology brings 2-way holographic interactivity to life and makes it possible for large events and conferences to gain access to speakers who might not be physically present. Or even alive. Unexpected is simply how to gain attention from your desired audience. Unexpectedness is almost inherent when we talk about holograms. This is simply due to the fact that holograms are not mainstream, and are thus a novel occurrence. In creating a hologram campaign, this trait is, for the most part, already fulfilled. The benefits of this technology are multitudinous for the future of engagement at events and physical spaces. Not only does it help save time and eliminate geographical barriers but it also captivates audiences with a wow factor and ensures an unforgettable event experience. The technology provides live capture and 2 way transmission. Talent is captured, broadcasted and displayed as stunning photo-realistic human holograms directly to multiple stage simultaneously with live 2-way interactivity. Holographic Telepresence technology has the potential to address all of the above pain points for creating unforgettable event experiences for attendees. Pre-recorded Holograms in information kiosks and exhibition booths can drive traffic. In addition, organisers can showcase the use of interactive visual aids on its 3D displays. Holograms can upgrade any show floor, booth, session, or even meeting with their ability to enthrall attendees and forge lasting, meaningful emotions. Holographic Telepresence technology was introduced to south east Asia by Winimy in partnership with ARHT media at the Office Expo Asia 2018. 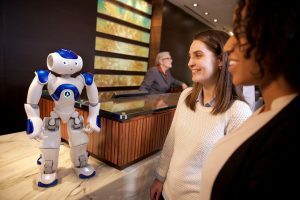 Winimy AI is creating a new ecosystem of smart events with its award-winning voice AI concierge and wayfinding solutions. 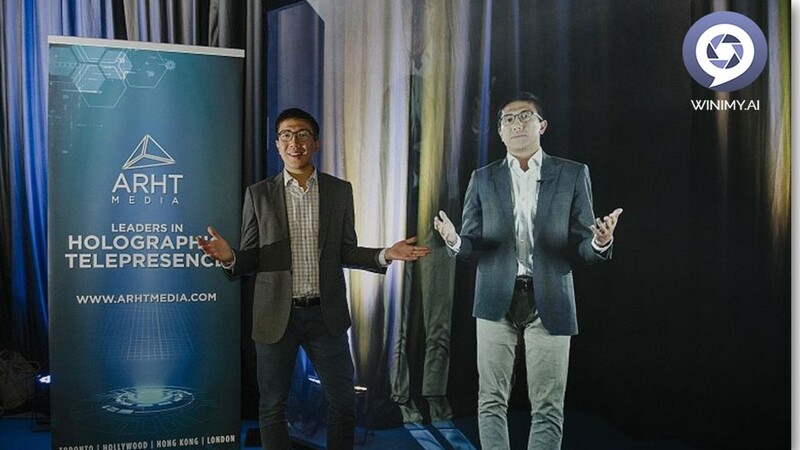 It has partnered with ARHT Media, the world leaders in holographic telepresence, to offer the first complete end-to-end solution for the creation, transmission, and delivery of lifelike digital holograms. Going forward this technology is going to transform the way events and conferences happen. Winimy AI has always been the industry pioneer in AI Powered events and with this, we take our offering to the next level so that our partners can Optimise Infrastructure, Enhance Engagement and create an innovative and interactive event experience. Now this futuristic tech is now well within reach for creative marketers looking to make an impact. Get in touch with us at [email protected] to find out how.